The awesome co-hosts this month are Suzanne Furness,Tonja Drecker, Toi Thomas, Rachna Chhabria, Fundy Blue, and Donna Hole! Be sure to visit them all! Now for my post. Very short due to the competition with A to Z Challengers. Since it's April 1st, I feel I can admit that I'm a fool. A fool for trying so darned hard to make this whole writing thing work. A fool for dreaming of some modicum of success to alleviate my guilt over devoting so much time to it. A fool to continue struggling. The towel is in my hand. The time to throw it approaches. Damn the fickleness of a creative career. On a much more positive note, I'm thrilled to share that my lovely critique partner, Beverly Stowe McClure, has a brand new picture book! Three girls, Emily, Autumn, and Olivia, find their over-active imaginations taking over their common sense one night during a sleep-over. Children, and adults, will readily identify with the characters. We’ve all heard weird noise at night and have freaked ourselves out by imagining the worst. The surprise twist at the end was one I thought might be the right one, and it was fun to know my guess was right. Sort of. The artwork is sweet and has an old-school charm that really fits the story. I highly recommend this book for mystery solvers and pet lovers! 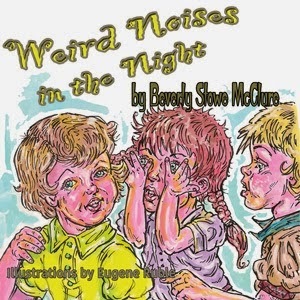 Please be sure to congratulate Beverly on another job well-done and check out Weird Noises in the Night for the young readers in your life. Hi Kai, yes, at times I feel like a fool to try very, very hard to make this whole writing thing work. Honestly, sometimes the temptation to throw in the towel is too strong. Love Beverly's PB. It's crazy how difficult it is to find motivation sometimes. I never had the same kind a struggle when I worked in corporate America. Sometimes I didn't want to go to work, but I didn't feel defeated over it. Don't you dare throw in that towel, Kai Strand. Never give up. You're on your way. You have too much talent to quit. What if Stephen King had quit when that publisher/editor told him he'd never be a writer. Look at him now. King has the last laugh. Repeat after me: "I will stay the course. Throw in the towel is not in my vocabulary." There. Oh, and thanks for the pleasant surprise and spotlight of my book. The girls thank you too. Now, get busy. Finish that story you've started. I appreciate your words of support, Beverly. We'll see if I can turn this around. For now I'll just concentrate on my new books and the next one to be released. That'll keep me busy enough. Glad to help spread the word on Weird Noises. So happy for you. I hear you Kai! A writing career can be quite daunting! Please don't give up, you are a master storyteller! Congratulations Bev! Thanks for the vote of confidence and the understanding! Wish there was a magic wand to or a magic spotlight we could shine on our books, right? Thanks for visiting my blog today, Kai! I really appreciated it. I could feel your discouragement when I read your post. I'm scrolling through your post and looking at all you've accomplished ~ Wow! You are light years ahead of me. Lock that towel away where you can't get to it, so you can't throw it in! And don't feel guilty for having the courage to follow your passion and devoting time to it! This rough patch will pass! "Lock that towel away" made me smile. No matter what I do going forward, I'll always have published 12 books. That makes me happy. Thanks for visiting and for the encouragement. Please don't give up. Although trying to make progress with our writing sometimes feels like an uphill struggle think how you would feel without it in your life. Best wishes and thanks for visiting my blog. Aw, thanks Suzanne! I'll always have writing, I just won't be concentrating on it the same way, which might be exactly what my career needs. Who knows! Thanks for visiting and for the kind words of encouragement. 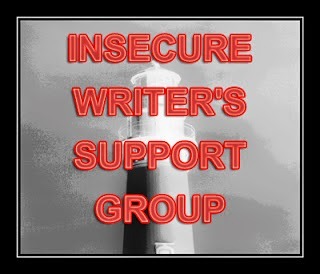 IWSG is great! Yep, I think we've all felt like that. And you know what? We probably are all fools. But if we're doing what we love, then I'm happy to be one! Don't give up. Even if you take a break for a while, keep your creative juices flowing through other creative pursuits. TBH, you probably won't be able to stay away from writing for long. It will come and find you soon enough.